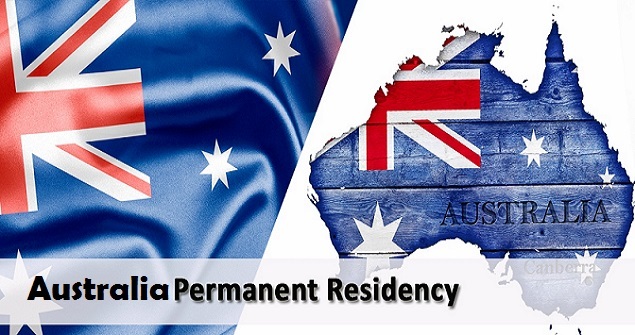 How to Apply Australian Permanent Residency. Australia is one of the most popular countries chosen by immigrants as their permanent home because of the high quality of life and wealth of employment opportunities. People from all over the world apply for residency in Australia every year, drawn by the promise of a fantastic new life, and if you want to become one of them, you will need to know how to apply for Australian Permanent Residency. There are many benefits to applying for Australian permanent residency. For a start, successful applicants are permitted to reside in the country indefinitely and are allowed to leave and re-enter Australia frequently within the first five year period, with chance of renewal after that time if the relevant criteria is met. They are also permitted to work or study freely within the country. Australian Permanent Residency is also the first step to applying for Australian citizenship, and after a few years as a permanent resident, this is often the next sensible step to becoming a naturalized Australian citizen. Holders of permanent residency are also given most of the privileges and rights of born citizens, such as access to subsidized or free legal services and health care. If you are granted permanent residency, you are also allowed to sponsor any relatives who wish to immigrate to the country, as long as they fulfill the residence and support criteria. You will also be allowed to apply for Australian consular assistance should it be required while overseas and you will be permitted to travel to New Zealand, subject to that country's government approval, if you wish to study, work or live. Any children that you have that are born inside Australian will also have the benefit of being Australian citizens from birth. For migrants who do not have state sponsorship or a relative in the country to sponsor them, this visa is the best option. To be eligible, you must work in one of the occupations on Australia's Skilled Occupation List and must be able to score 60 points under the government criteria i.e. qualifications, age, language skills and experience. You must also be aged fewer than 50 and have received a positive skills assessment as well as having a good character and valid health certification. To apply for this visa type, you will need to submit an Expression of Interest online which, if selected, will enable you to receive an invitation to make an application for a visa. This visa type enables an applicant to be nominated by a territory or state government to work and live in Australia. To be eligible, the applicant must work in one of the occupations on the current CSOL list and must be worth 60 points based on their age, qualifications, and experience and language skills. They must also be under 50 and have received a positive skills assessment. Their work experience must be relevant and recognized by the state and they must have a good character and a good medical history. Once the applicant has received their nomination they must submit an Expression of Interest in the SkillSelect online system. Successful applicants must reside in their sponsoring Australian territory or state for a period of no less than two years before being permitted to move elsewhere in the country. The Employer Nomination Scheme visa type enables companies to bring highly skilled workers from overseas to perform roles that cannot be undertaken by an Australian citizen. The employer must meet certain criteria before being able to nominate a prospective employee for this visa type i.e. their company must be operating legally within Australia and they must be able to demonstrate the need for the specific skill set of this employee within their company. They must also have a structured training program in place for the new employee. The position that the employee is coming to take must last for a period of no less than three years and must be a full time job. It must also attract a minimum salary of $49,330 per annum. The position must be for a job on the SOL list and the employee must already have a minimum of three previous years of experience in a similar role. They must also hold relevant and necessary qualifications, be aged under 45 and have a basic working knowledge of English. They must also pass the necessary health and character assessments. There are numerous other permanent residency visa types depending on the circumstances of the applicant including dependent visas, partner visas, regional sponsored migration visas and business talent visas. All visas can be applied for online and will require the payment of the required fee in order to allow processing to take place. There may also be extra costs for health and other background checks. Visa processing can take around three months, so applicants should ensure that they allow plenty of time for their application to be submitted and approved.